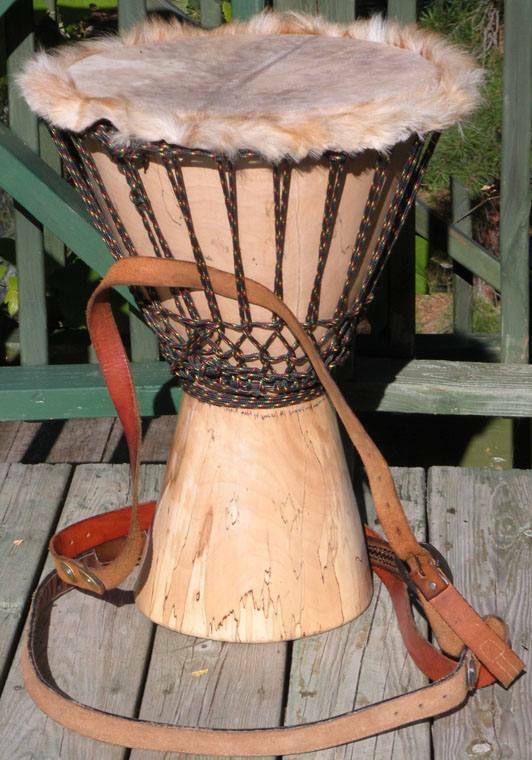 A semi-large jembe with shell from a Norway maple that was blown down by a storm in Front Royal, VA; a goatskin head bought at the Seattle Rhythm Festival, and finish of water-based urethane. Recycled leather belt strap. Notice the slight spalting of the wood (the black lines) at the base: this tree was on its way out already. And like many human-planted trees, it wasn't native to the area. Norway maples are so shady that they'll kill anything they grow up around and over. 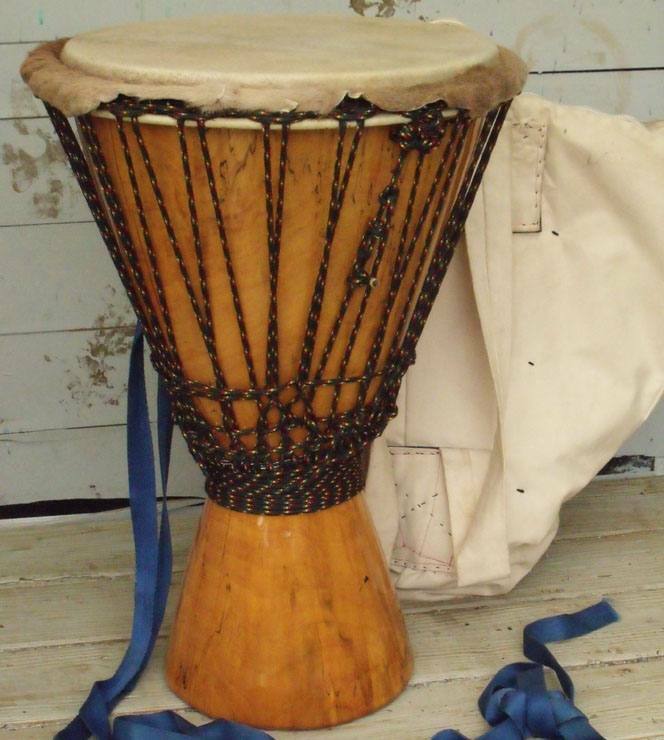 Yet it's excellent wood for all sorts of uses, from this drum to fine cabinetmaking: it grows all over the Northeast USA; still we buy furniture from the big stores made from trees cut out of rainforests in Asia. Does that seem right to you? Scroll down to see its twin. These are for sale. A twin jembe to the one above, from the same tree, but with a deerskin head. The finish on this one is oil-based spar varnish. Deer makes for good jembe heads if you stretch it hard enough. Recycled tiedown strap. Behind the drum is my hand-made back-bag for it.